The new Mercedes-Benz E-Class technology provides you with everything you need to stay engaged and connected on the go. The world-class cabin integrates these features seamlessly, with intuitive controls appointed for easy adjustments as you drive. Designed to keep you comfortable, you’ll love all that’s offered inside of this sedan, like a touchscreen display and high-resolution instrument display to monitor your performance. Preview what you can expect below, then explore the Mercedes-Benz E-Class in our showroom today! Standard inside of every vehicle, you’ll have live traffic updates with assistance from apps like Yelp to get you to your destination in the best time possible. Located next to the gear shift dial, you can change settings with handwritten instruction, tapping, or swiping for selection of your next option. Your audio controls, navigation services, phone integration, and more can be found on the panoramic 12.3-inch screen mounted on your center console. Aromatherapy options are available in your climate control system, and seating offers massage options so sitting in traffic turns into a relaxing experience. No part of your driving experience was overlooked in the design of the Mercedes-Benz E-Class technology. In addition to the above features, an optional 12.3-inch graphic instrument display can show you performance details behind your steering wheel. You’ll also enjoy the 64 color LED ambient lighting thoughtfully integrated in the cabin structure for calm illumination and mood settings. Even the steering wheel integrates two smart control pads so that you can make phone calls with Bluetooth® technology, adjust your volume, or set DRIVE PILOT adaptive cruise control without taking your hands off the wheel. Seat heating also makes chilly morning commutes much more cozy. Dual-zone automatic climate control allows both the driver and front passenger to elect individual temperatures so that everyone stays happy. Your touchscreen entertainment center can also provide you with a generous view of what’s going on behind you with the rearview camera, making it easier to avoid dents and dings in a crowded parking lot. 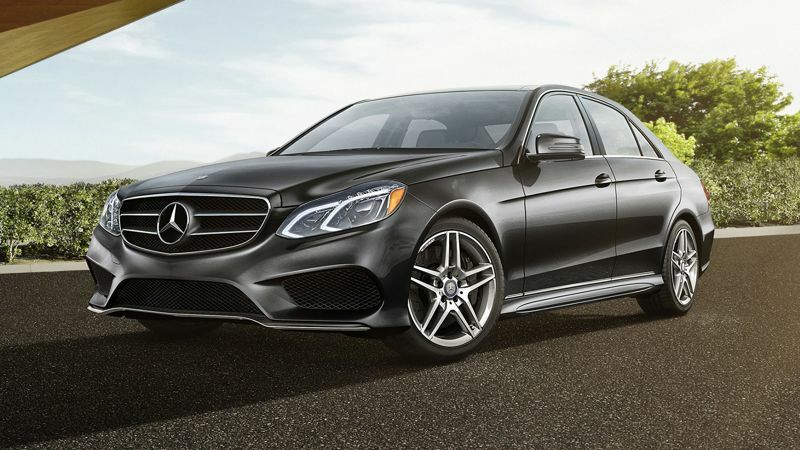 All of this and more makes the Mercedes-Benz E-Class a first class choice among luxury sedans. To schedule a test drive of the new Mercedes-Benz E-Class, call us today at 866-413-2555. You can also visit our showroom, located at 4095 East Palm Canyon Drive in Palm Springs. Our dedicated sales team will help you find the perfect model for your needs, and our knowledgeable finance team secure competitive financing rates or an agreeable lease special. If you have any questions or feedback about our services, don’t hesitate to contact us online.